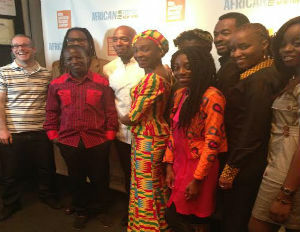 After lighting it up at New York’s Lincoln Center for a week, Africa’s band of newest and brightest stars and the New York African Film Festival team will take the expo to the Maysles Documentary Center starting Thursday. 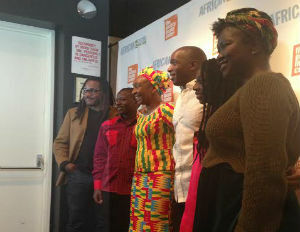 By all accounts so far, this 21st New York African Film Festival has been a triumph. The festival began May 7 and will run until month-end. Organized under the banner theme, “Revolution and Liberation in the Digital Age,” the festival is presented by the Film Society of Lincoln Center and African Film Festival, Inc. It is also presided over by the watchful eyes of Cheryl Duncan and her public relations team. The festival is being held at three venues. With the first leg having just wrapped up at the Lincoln Center, it now moves to the cinema at the Maysles Documentary Center before concluding at the Brooklyn Academy of Music’s BAM Cinematek. 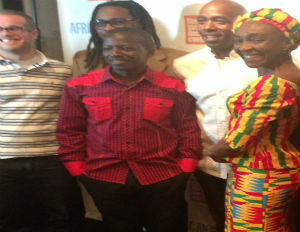 The first run of this installation of the film festival included 11 features and eight short films from various African nations and the Diaspora. These new African voices who have spent years honing their craft on the continent and then around the world, are exploring new ways to tell their stories utilizing all the various media now available in this digital age. 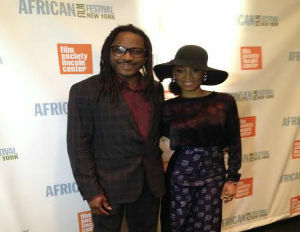 The New York African Film Festival organizers are calling this year, “A gracious nod to Nollywood, the world’s second largest film industry, and to the 100th centenary of the unification of Nigeria.” As part of the tribute, NYAFF’s opening night presented the American premier of the Nigerian dark comedy Confusion Na Wa. Mahen Bonetti is the New York African Film Festival founder and executive director of African Film Festival Inc.
“It has been a long process of blood sweat and tears. I always think about all the people who have invested in us and who are depending on us and who have really embraced us. The energy and support they’ve poured into this machine really drive us and keep it going,” she says. 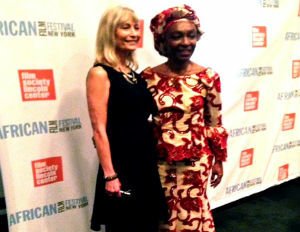 Bonetti’s first New York African Film Festival was more than 20 years ago. 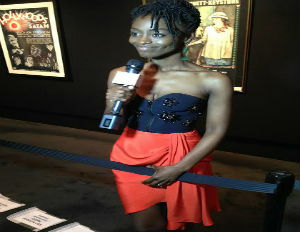 Over the past week, the stars that sparkled on the red carpet and onscreen, included a shimmering Anika Noni Rose, who took time out from a hectic schedule on Broadway, co-starring with Denzel Washington, to make an appearance at the festival and discuss her role in the sweeping epic love story Half of a Yellow Sun. Joining Rose on the red carpet wasÂ Biyi Bandele the director of the movie, which is a film adaptation of author Chimamanda Ngozi Adichie‘s international best selling novel. Also making appearances wereÂ Kenneth Gyang, the wunderkind, Nigerian-born director of the hilarious and engaging, disturbingly dark comedy, Confusion Na Wa; OC Ukeje, lead actor of Confusion Na Wa, who also had a starring role in Half of a Yellow Sun; Akosua Adoma Owusu, director of the short Ghanian filmÂ Kweku Ananse; and Aissa Maiga from the animated film, Aya of Yop City. These stars are being touted as the next crop of talented African actors, directors and producers who will take the world by storm. Owusu’s film Kweku Anase is a short adaptation of a well-known Ghanian fable. Kweku Ananse is a creature, part man, part spider who tries to collect all the wisdom in the world in a pot. Her film was nominated for a Golden Bear at the Berlin International Film Festival. 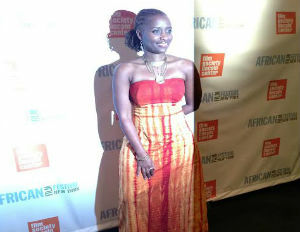 She won the African Movie Academy Award for Best Short Film last year. This is her first fiction short, though she has made several experimental films. She is working toward her first feature film this year. 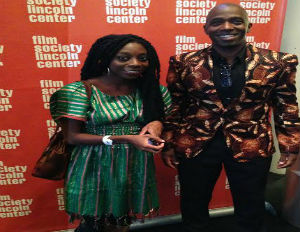 Ekwa Msangi‘s short film Soko Sonko received its world premier at the New York African Film Festival. The film, a comedy set in Nairobi, Kenya, is a fun adventure about a middle-class man who has to take his daughter to the market to get her hair braided on the same day his football team is playing a championship game and the drama that ensues as he tries to juggle and accomplish both missions. Msangi says besides the challenges filmmakers face trying to raise money to fund their films, there are also certain stereotypes female African filmmakers have to confront. Bandele, a writer-director, lives in London, but originates from Nigeria. 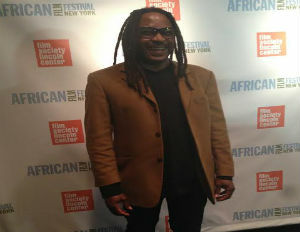 His film, the critically acclaimed Half of a Yellow Sun was unveiled to audiences at the Walter Reade Theater at the New York Lincoln Center on the festival’s Centerpiece night. The movie, a film adaptation of author Chimamanda Ngozi Adichie‘s international best selling novel, stars Chiwetel Ejiofor, Thandie Newton, Anika Noni Rose and John Boyega. It is a love story about a cast of characters trying to carry on their lives when suddenly they get caught up in the Nigerian civil war. But despite expectations that Bandele’s film would be nationally embraced in its home country, the masterfully directed film that puts Nigerian talent in the spotlight, has been banned. Nigeria’s movie censorship board is reportedly shying away from the political overturns of the film, feeling that the movie will incite tribal violence. The bloody civil war between Nigeria and the Ibo Biafrans happened in the late 1960s, but is still a sore topic in the West African nation. Nigeria’s censorship board has not technically censored the movie. What has actually happened is that the board has refused to give the movie a rating, effectively banning it. Bandele reflects philosophically about the censorship board’s decision. Bandele also says he has seen the movie with Nigerians all over the world, in India, Dubai, Toronto, Dublin, Scotland and several Scandinavian nations. He says he’s never met a single Nigerian who walked out of the screening looking to harm anyone. Bodomo is the writer-director of the short film, Afronauts about a group of Zambians who in the ’60s tried to join the space race without really having the resources to do so. There are only five documents that still exist, but since this happened during the time of the nation’s independence from colonial rule, the government presumably wanted to distance itself. 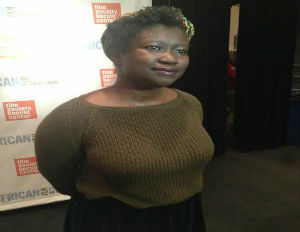 Bodomo also discusses the difficulties women are faced with when trying to break into the film industry. There is actually also an amazing photo series also called Afronauts by Spanish photographer Cristina De Middel, for anyone interested in learning more at Zambia’s attempt to build a space rocket. Mwine is thankful to be a part of this new digital age that makes it much easier for filmmakers to ply their craft. Gyang is the talented, young Nigerian director of the movie, Confusion Na Wa. The cameras follow the events that happen after a cell phone gets stolen by two opportunistic Grifters. After checking the contents of the phone, they decide to blackmail the phone’s original owner, a decision that has a ripple effect on all the characters of the film. Gyang says he started on his career back in 2006 after coming out of film school and immediately got a job working with the BBC on a television series in Nigeria. He says working there helped hone his writing skills and visual storytelling. He also says picking the right projects and trying to tell the story the right way has helped him stay prolific. 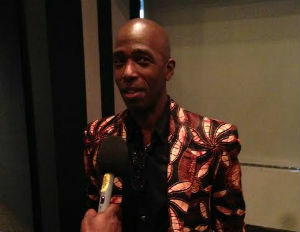 He formed a production company, Cinema Kpatakpata with Thomas Rowland-Rees, who co-wrote and produced Confusion Na Wa. 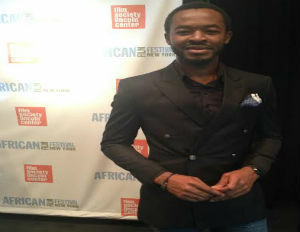 Ukeje is an actor with his star on the rise. He’s the lead actor in Gyang’s Confusion Na Wa and he also had a small role in the sweeping epic, Half of a Yellow Sun. Ukeje says he’s been trying to make it into the mainstream for 13 years. Ukeje also talks about being a part of the cast of Half of a Yellow Sun, about the movie being kept in limbo in Nigeria and what it means to him to have been a part of it. “I’m tied to someone here and I don’t know how.Â It’s taken me 13 years of my career to meet some of the people I’m meeting here today. It just goes to show the inter-connectivity amongst people,” he adds. Both Bandele and Ukeje weighed in on the #bringbackourgirls campaign for the abducted Nigerian Schoolgirls who have been missing longer than a month. Half of a Yellow Sun will be released in theaters in the United States starting May 16. 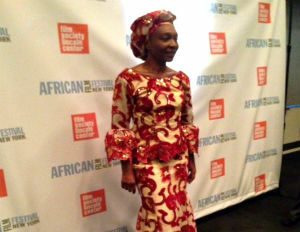 The festival concluded its spectacular run at Lincoln Center Wednesday with the sweeping epic Sarraounia. It moves to the Cinema at the Maysles Documentary Center in Harlem May 15-18. The 21st NYAFF closes over Memorial day weekend, May 23-26 at the Brooklyn Academy of Music BAM Cinematik as part of the dance and music festival DanceAfrica.